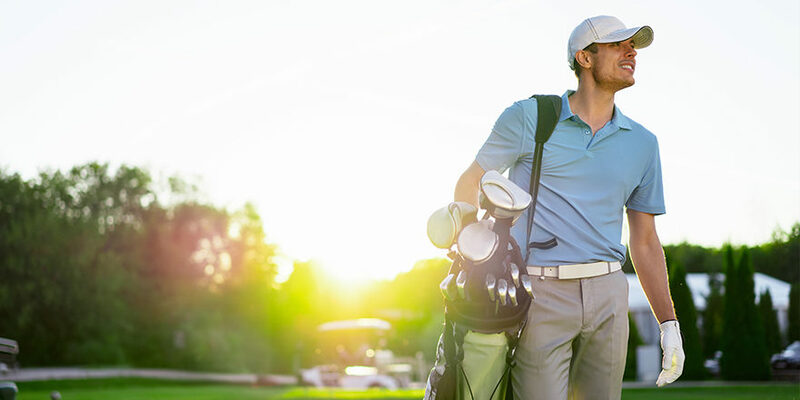 Now that spring is here, we find it fit to talk about golf/tennis elbow even though technically any repetitive movement which puts a strain on the forearm muscle and elbow tendons can cause the condition. Wear and tear from things like typing, lifting, and even hand tool use, can cause a breakdown in tendon tissue resulting in painful inflammation surrounding the epicondylitis. That’s the bony prominent on either side of the elbow. Now, the tendon doesn’t like to be weakened and will work hard to correct damage with overlying scar tissue. Over time, however, the healing process simply gives up, leaving behind a sore and weakened tendon. This is what we call epicondylitis or tennis/golfer elbow. Tendon breakdown is never a good thing, but luckily there are ways to avoid surgery so you can get your game back. Here are some suggestions to keep in mind when dealing with this painful nuisance. Visit a clinician who can strategically apply a medical grade tape (often referred to as “K-tape”) to relieve the load on your elbow muscles and tendons. If you are sensitive to tape, an alternative to using an elbow strap that wraps around the upper forearm in a way that relieves pressure on the tendon attachment. Icing your injury helps reduce inflammation which is what is happening with your tennis/golfer elbow, consult our blog post about RICE for more details. Also, electrical stimulation which is performed by a provider is an alternative to injections and can be used to push anti-inflammatories into the affected tendon as well. This can be in the form of interferential current therapy, as performed at a clinic, or it can use in the forms of TENS, which can be done at home. There are many exercises you can do to help strengthen and prevent the onset of tennis/golfer elbow. The key word here is preventative, as the longer you wait to strengthen the muscles and tendon, the more tissue damage is likely to occur. Strength supination: Sit with you elbow resting on a table, and with the palm facing downwards and a resistance band held in tension between both hands turn your arm into a palm upwards position and repeat with your palm facing down. Wrist extension: Support your forearm on a table. With palm down, curl your wrist backward against resistance. Repeat. Do so again with the palm facing upward. Tricep extension: Attach a resistance band above shoulder height. Grasp the band and extend your elbow against the resistance. Return to starting position and repeat. Bicep curl: Be sure to balance the triceps extension with a bicep curl. Hold your elbow slightly bent and bend toward shoulder against resistance. Repeat. Wall push up: Keep arms at shoulder height and hands flat against the wall. Lower your body toward the wall then push by straightening the elbows. Stretching the forearm by extending the arm and rotating the wrist can improve flexibility in the extensor muscles. One can also extend the arm with the forearm pronated while flexing the wrist. Hold in place for 30 to 45 seconds for three repetitions with a 30-second rest in between each stretch. An experienced clinician can manipulate and soften scar tissue thereby increasing blood flow and triggering endorphins, your body’s natural pain relievers. If you’re experiencing symptoms and think it might be golfer/tennis elbow, book a no obligation appointment with a physiotherapist near you.